Download the report to examine the macro trends that affected the industry and recommendations on how you can protect your digital assets. It’s been a landmark year in security breaches, and as new vulnerabilities pop up and cyberattacks become more prominent, more and more organizations are amping up their security strategies. 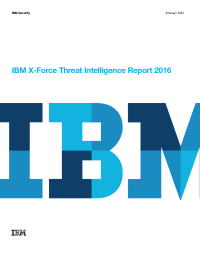 The IBM X-Force research team has put together a report to deliver security content to their customers and provides a glimpse into the emerging and critical threats that puts an organization’s security at risk.